Every developer has a preferred way to code. Some use only the basics – a text editor and a browser. Others like to incorporate apps, platforms, and tools to make sure everything gets done. If you fall in the latter category, you’re probably always on the lookout for the next best tool to aid your projects. After all, who doesn’t love something that can reduce your time and increase your productivity? That’s why we’ve put together a list of the best development tools for those who want to get things done quickly and efficiently. GitHub – GitHub is probably the most well known platform, but not everyone uses it. But if you’re looking to build a site efficiently (especially a static site) then GitHub is perfect. It includes a source-code browser, in-line editing, wikis, ticketing, and more. The best part is that it’s completely open source (that means free!). Bitbucket – Bitbucket is another free source code host. It’s a distributed version control system that makes it easy for you to collaborate with your team. Approve code review with pull requests, use flexible deployments models, and take advantage of their private and public repositories. SourceTree – Whether you’re a newbie developer or you just love using Mac, SourceTree is a free Mac client for Git and Mercurial version control systems. Manage all your repositories, hosted or local, through SourceTree’s simple interface. Tower – Another Git client for Mac. Heroku – Heroku is a popular platform as a service (PaaS) that enables developers to build, run, and operate applications entirely in the cloud. Build, manage, scale, and deploy great apps quickly, without needing to worry about updating or patching. Kinvey – If you’re more interested in mobile app development, Kinvey is a back end as a service (BaaS) provider that makes it easy for developers to set up, use and operate a cloud backend for their mobile apps. Firebase – Another BaaS, Firebase is a scalable real-time backend for your website. It’s made up of complementary features that you can mix-and-match to fit your needs. Cloud9 – An online IDE that combines a powerful online code editor with a full Ubuntu workspace in the cloud. Simply pick your configuration and develop your app. No need to spend valuable development time on system setup and maintenance. AppHarbor – Used by thousands of developers for everything from simple blogs to high traffic web applications, AppHarbor is a fully hosted .NET Platform as a Service. This PaaS can deploy and scale any standard .NET application to the cloud. Crashlytics – This powerful and lightweight crash reporting system for iOS and Android is perfect for mobile app developers who need to work out the kinks in their system before, during, and after launch. Every crash report is analyzed and every bug tracked so that you don’t have to do it. Usersnap – If you’re more of a visual person and you prefer snapshots to track bugs or share potential issues with your team (or clients), then Usersnap is a great option. Organize your web projects and create screenshots of any potential problems. Twilio – Twilio is a cloud communications platform for building SMS, Voice, and Messaging applications on an API. Embed messaging, voice, and video in your apps with their API, and the best part is that you can get started in as little as five minutes. So, if you’re in a rush, you have help. Cloudeo – If you’re into geo data, then this is the perfect solution for you. Cloudeo is another SaaS that allows you to rent, evaluate, and stream geo data in all of your applications. It’s a unique option for developers needing to include more complicated APIs like this. Embedly – On the simpler side of things, Embedly delivers ultra-fast and easy to use products and tools for richer sites and apps. Convert standard URLs into embedded videos, images, and more to engage your audience through rich media. Mailgun – Mailgun is a surprisingly powerful API that lets you send, receive, and track email effortlessly. Easy SMTP integration and a simple, RESTful API removes the messy details of sending transactional or bulk email. Everything is built API first with a focus on simplicity and compliance to standards. Finding the right app, platform, or tool to help you get through projects isn’t easy. A lot of it depends on preference, working style, and sometimes the power of the tool itself to get the job done. But one thing’s for sure: If you need help moving a project along, there’s probably a tool for that. This is great for developers who want to get things done as fast and easy as possible. Or at the very least, it can inspire you to create a SaaS, BaaS, or PaaS of your own to help other struggling developers get the job done. You’ve heard the old adage: The client is always right. But every so often there comes a time when you – the designer or developer – know that there’s a better way. After all, you work with websites on a daily basis, and you see how well things convert or don’t convert. You have years of experience under your belt to know that sometimes certain methods work better than others. When it comes to creating forms in particular, some form types just work better than others for certain audiences. And if your gut is telling you that a full-page form would work better, then that’s what you should go with. But how do you tell that to your client? Here’s how to sell them on a better way, even if they’re picky. According to the B2B Technology Marketing Community, “61 percent of B2B marketers struggle to generate high quality leads.” Forms play a big role in that struggle, and in some ways, designers and developers have an inside scoop on which forms work better than others. Generally that’s because you’re the one stuck doing a redesign when conversions are low. And it’s true that some forms convert better than others. For instance, forms shown above the fold can improve conversion rates, but sometimes only for audiences that are already familiar with the client’s brand. According to Smashing Magazine, short forms or progressive forms work much better for mobile users, while Convert With Content suggests using multi-step forms instead of long forms because they work better for those needing more information without sacrificing conversions. While you may not have it all memorized off the top of your head, chances are that you know from experience which forms will work in context and which ones don’t. (It’s okay to trust your gut, too). Of course, once you realize that the form types your client wants may not be the best solution for their audience (or even for their site’s design), it comes time to suggest something different. So how do you do that, exactly? Your primary job is really to keep the client happy, but as much as possible you should try to make sure that your client’s endeavors are successful. While that can be hard to do with a client that is picky or demanding (they simply must have their way), it is possible to suggest an idea that (you feel) will help them achieve their results faster. But you don’t want to come across as a know-it-all, or you’ll risk bruising their ego. Here are a few ways to try to get your point across without sounding like a demanding diva. If you can show how a different form type improved another client’s conversions – whether from your own experience or from an article or post you read about – and you know that your current client has a similar audience, it’s a good idea to grab that data and have it handy. It can also be helpful for a client to see exactly what you’re suggesting to avoid any confusion. Create a mockup of how the new form would work, and show them step-by-step why it will work better for their audience so they have actual social proof to consider while making decisions. If you’re suggesting something that may be totally out of left field, you still want to reassure them that you understand their audience and brand. Again, this is where a mockup can help, showing the form in action while using their images and site design as a backdrop. But even if your form idea is way out there, do as much as you can to stick to their audience. If they use business-formal language, don’t start their forms with “Howdy, y’all!” If their colors are blue and gold, don’t design a form that’s purple and grey. It should be a no brainer, but as much consistency as you can keep, the better your “crazy” idea will go over, especially with picky clients. Sociologist Alvin Gouldner says that no society on earth can escape from reciprocity, or the idea that if someone’s giving you something of value, you should return the favor. Consider suggesting the changes as if you’re providing an exclusive service above and beyond the norm, and they may feel obligated to say yes just because you’re offering. “We’ve offered this to a few of our other clients and they’ve seen much higher conversions than the standard form. We notice you have a similar audience, would you like to try this new form type? We can create a mockup if you’d like to see it.” More often than not, your client will at least consider your idea rather than rejecting it outright. Finally, presentation is everything. This should go without saying, but if you’re rude to the client, they will be primed to reject anything you say on the sheer principle of you being unlikable. While business professionalism can go a long way, it’s about balancing the authoritative tone of an expert with the courtesy of a customer service representative. According to Call Proof, it’s about listening, empathizing, and under-selling. You have to see your client as more than just a dollar sign, and treat them as you would your family or friends. Sometimes you have a feeling that a different type of form will work better than others with the client’s design or will generate more leads. Since you have some experience to back up your ideas, you want to suggest those changes to your client. If you’re looking to convince a client that your idea has merit, be sure to present yourself like an expert. Use data and as much information as you can, and create a mockup so they can see exactly what you’re talking about. Make sure it stays consistent with their branding and actually helps them. You can do this by offering it up as something that will genuinely add value to their business. And, above all, communicate like a customer service rep – listen, engage, and don’t forget to play nice. Soon your clients will be falling over themselves to implement your awesome new ideas. Forms are all about action. More specifically, they’re all about getting your users to take action. Whether it’s signing up for your newsletter or downloading your latest white paper, you want to get your users to do something – that’s called a conversion. But conversions don’t happen by accident. The way you design and program your form plays a major role in how many people follow through with filling it out. Unfortunately, there are a few areas that most designers or developers overlook when creating their forms, and it’s costing conversions. Here are three key areas you need to fix on your forms if you want to keep your conversion rates high. Error handling is typically one of the last things a developer will do when putting together a form, which often means that it’s the one process that gets the least amount of attention. But a form that doesn’t tell you exactly what went wrong when an error occurs or leads you to a 404 page – or, heaven forbid, somewhere else entirely – is not just annoying, it’s a signal to your users to never come back and finish that form. Suddenly your conversions drop and you’re not sure why. While the first and most obvious step is to prevent errors wherever possible – and ideally they don’t happen because of a design flaw – it’s still important to have a great error handling system in place should errors occur. Avoid negative words. While errors are bad, you don’t want the wording to elicit feelings of fear or make them feel that the situation is worse than it is. UX Movement has a great article on making your form error message more reassuring here. Avoid using the color red. Instead, highlight error fields in orange or yellow. Similar to the above, the color red – while prominent – can make the user feel like they’ve made a grave mistake. Red tends to be associated with danger, so while you still want your error to stand out, it’s important to signal to users that the error is fixable and that they have nothing to worry about. Specify why the field information wasn’t accepted. Just having a note at the top of your form that says “there was an error” isn’t enough to keep people from panicking. Your error message should tell users exactly which information was rejected and why. For example, an email field should tell users to include the ‘@’ symbol or remind them to double check the spelling of their domain. The more specific you can be, the better. The next big area you may be overlooking is the use of visual cues. Many forms come on solitary landing pages, which makes the forms themselves easy enough to find and is one way of getting people to fill out your forms, but that doesn’t always mean conversions will automatically happen. In fact, whether or not your form is easy to spot on your page, you should include visual cues to direct users there anyway. Directional cues are signals that tell someone to complete an action, and remember, forms are all about taking action. Cues can include photos, shapes, videos or text, but how and where you use them can significantly impact conversions. Use an image of a person looking at your form. Humans are social creatures by nature, and so they tend to be drawn to what others are looking at. You can use this human trait to your advantage by having your images direct people to fill out your forms. Have a person or group of people looking at your forms with their eyes, pointing to your form with their hands, or even holding your form. Use arrows. Symbols and shapes drive much of our visuals in modern advertising, and the arrow is the king of the symbols when it comes to directing users to take action. Nothing says “look here” quite like it. Limit objects in the same visual view as your form. Minimizing the noise around your form will certainly draw the most attention to it, but that doesn’t mean you need to create a whole separate landing page for each form. You can also use colors to visually direct users to your forms, or make use of blank space to create a contrast that stands out. Of course, it could be argued that you should never rely on design alone to communicate. After all, 8% of men and 0.5% of women have a colour vision deficiency. Another 39 million are blind and 246 have low vision. Communicating with visual-only cues just won’t catch everyone. While pictures and arrows may help people find your form, the “Submit” button does most of the heavy lifting. That’s where your button copy comes into play. Buttons will tell users to “Get a quote,” “Download,” “Open an account,” or even “Go to checkout.” But whether someone submits your button depends on the quality of the text itself. The copy should begin with a verb. Otherwise it’s not really a call-to-action, just a button with some text on it. “More information” for example, is not a call-to-action. The language should fit the context. If you’re signing up for banking online, for example, you’re going to expect words like “Register” or “Apply”. If you’re signing up for an e-commerce site, you look for “Sign up” or “Go to Cart”. It’s also important for the language to be personal wherever possible. If the overall context of your site is friendly, using text like “Sign me up” instead of “sign up” can also improve your conversions. Think about what your user would say. Imagine that you asked your user what he or she was trying to do. If they would say, “I want to sign up,” then you would use text like, “Sign up.” If you were asking the user “Would you like to…?” then the text would sound more like, “Sign me up.” These are what Jared Spool calls “trigger” words. For any button text, ask yourself if it fits with the statement “Would you like to?” or “I would like to”. The question: “Would you like to sign me up?” doesn’t match with: “I would like to sign me up”. When it comes to improving conversions on your forms, there are really three key areas you need to watch out for: error messages, visual cues, and button copy. If your users aren’t taking any action, then you want to use visual cues to direct them. If they’re not sure if they want to submit the form they’ve just filled out, then use your copy to elicit an action. And if they have taken the wrong action, gently nudge them in the right direction. Mobile apps are everywhere, and for good reason. As of last year, the total number of downloaded mobile apps was a little more than 100 billion, with that number projected to reach as high as 200 billion in 2017. 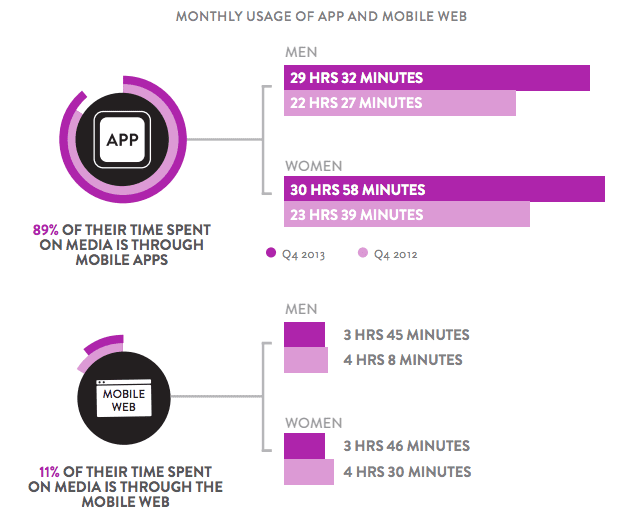 Statistics also show that up to 89% of mobile users spend their time on apps versus 11% who browse the web. That means that during any given day, the average user will spend over an hour fiddling around with apps. And web developers are no exception. In fact, there are many helpful apps out there that can help developers do a better job finishing projects, communicating with clients, or sharpening skills. But why would you use a mobile app if you have a laptop or desktop nearby? Whether you spend a lot of time traveling or you simply like to work from the comfort of your own couch, getting to work from wherever you want is a big convenience that mobile apps provide. Why spend all the time lugging around your laptop or going into the office to work on your desktop when you can pull out your phone, do some quick HTML edits, and move on with your day? Mobile apps allow you to update web pages, make quick sketches, code HTML, and upload and share projects from anywhere. More than 80% of all Internet users own a smartphone and use mobile devices to browse the web, so the need for mobile testing is high. But switching back and forth between testing sites on an actual mobile device and making updates to your code can be time consuming. Why not test your site and then use an app to make live updates? You may not need the feature all of the time, but mobile editing apps can be the perfect solution for a quick fix or to test sites on the fly. No one really likes to work when they’re not in the office, but sometimes project needs come first. The good news is that you can use mobile apps alongside traditional desktop apps to help you in the office and out. Check your site stats while you’re away to make sure everything’s running smoothly, reference code when you’re testing without opening another browser, or simply make a quick sketch while you’re out to coffee to try when you’re back at work. Mobile apps have the flexibility to help you multitask to achieve objectives faster than ever, and while some apps are helpful for minor tasks, more robust apps may surprise you. With all of that being said, here are the top apps that developers should try out to improve their overall performance and productivity. Android – Find it here. If you’re already working with Google Analytics for your website, you’ll want to download the GA app. It gives you access to many of the details from your GA account in real time, and can keep you up to date on your SEO. iOS – Find it here. Having quick access to your self-hosted WordPress site can be handy, especially if things have a tendency to go wrong at the last minute. With this app you can manage your site, view stats, moderate comments, create and edit posts and pages, and upload media. Another Android app, DroidEdit is a text and source code editor that lets you highlight syntax for several languages, search and replace, open files from a file manager, and more. AndFTP is a FTP, FTPS, SCP, SFTP client that comes with both a device and FTP file browser. It allows you to download, upload, synchronize and share features, as well as open local and remote files, rename, delete, update permissions, and more. View Source is an iOS app that comes with a Safari extension to help you view the source code for any web page. You can enter a URL and immediately see the code, highlight syntax, and copy and paste into any other app or program. ByWord is a writing app with Markdown for the iPhone that allows you to sync text documents, add footnotes, tables and references, and export Markdown documents to PDF or HTML. While not specifically targeted to developers, Harvest is a powerful tracking app that helps you track time, log expenses, and manage and send invoices from anywhere. For developers who spend more time recording things than actually working on projects, this app is a must. The Dropbox mobile app is the same as the desktop app, giving you a safe space to backup, access, and share any files you need at any time. You can also send large files to anyone, even if they don’t have a Dropbox account. For designers and developers alike, Adobe has a suite of mobile apps to help productivity, including Illustrator Draw, Photoshop Sketch, Photoshop Fix, Photoshop Mix, Lightroom, Comp CC, Preview CC, and more. iOS & Android – Find them here. Whether you’re looking to brush up on your coding skills, make a quick project sketch, or you need to make updates to your site on the go, mobile apps are the perfect solution. Remember that most apps come with a free or cheap version so that you can try it out before you fully commit. So, don’t be afraid to use mobile and tablet apps to aid your process during any project. Possibly the scariest part of any designer or developer’s job is turning in your design to a client. The trouble is that you never really know if your client is going to love it or hate it. Depending on the client, submitting a preview can mean plenty of additional hours spent reworking things to get them to up to expectations—and that’s never fun. No one likes being told that their design choices are wrong. It can be difficult not to react in frustration to negative feedback, but how you handle yourself can mean the difference between successfully completing a project or losing a client for good. So, how exactly do you handle feedback well? You want to ask good questions, use every resource available, and try to turn a potentially negative experience into a positive. Here’s how. The reality is that no designer really loves feedback. Ideally you want your clients to love your project and understand your genius from the moment they lay eyes on it. Unfortunately, feedback is an integral part of being a designer, but that doesn’t mean it’s necessarily a bad thing. Not only does it help the client clarify and refine their desired outcomes, it also helps you become a better designer by letting you stretch your genius outside of your normal limits. But, the ultimate goal is to get feedback that’s helpful towards both those ends, and one of the best ways to do that is to take charge of the feedback before it even comes your way. You can do this by providing a series of questions that your clients can respond to. Does this reach your target market in the way you imagined? Does this feel “on brand” or “on message” for you? Were you able to find all the information you were looking for? Do you find the information or design valuable for your users? How does this compare to your expectations? What are some noticeable weaknesses? Strengths? When you see this for the first time, what thoughts come to mind? Would you recommend this [design/site/etc.] to others? Not only do these questions help clients provide feedback that you can actually implement, but they also minimize comments and dialogue that aren’t helpful or that you can do nothing about. Instead of simply asking for general or vague feedback or saying, “Let me know what you think”, try starting a conversation that will be productive for both parties involved, while giving you a little more control. Since feedback can often take up a lot of time depending on the complexity of the design (or client) involved, using resources and tools to help minimize that effort will go a long way. Using preview or prototype tools will help you move the conversation along, make the changes you need in real time, and also make you look extremely professional and put together. You can either use these tools before a project begins knowing that you’ll have to share them with clients or team members, or you can use these tools to help you after you’ve already built the project and need a way to share and collaborate with minimal effort. Red Pen – This app allows you to upload your current project, add notes, and share your preview URL via email to clients. There’s no need to log in, as it remembers your link so you can retain all ownership of your uploads. Bounce – Bounce lets you collaborate between project members using screenshots or by uploading images. You can also make notes, add names to specific elements, and share your feedback through a URL or social media link. Avocode – Avocode makes it easy for frontend developers to code websites or apps by syncing with your PSD files. You can leave notes for other team members, export, upload and share sites, and give specific feedback while visually comparing design versions. Flinto for Mac – This app lets you create prototypes for mobile as well as web and desktop apps, so if your client really wants to see what a mobile app would look like, you can build an example fairly quickly. Adobe Experience Design CC – Adobe UX Design also lets you create prototypes for websites and mobile apps, with a preview feature that allows for live changes, as well as a sharing feature for quick feedback. Let’s say that you’ve done everything on your end to help create a positive experience—you’ve asked the right questions, you’ve provided the right sharing platform—but at the end of the day the client still isn’t happy. Does that mean doom for your project? Don’t take it personally. Remember that you did your best with the knowledge that you had, and now that you have more, you can make changes that are more in line with the client’s wishes. Restate intentions. Sometimes things get lost in translation, so rephrase or restate what you think you’re hearing the client say so that everyone is on the same page. It can also be helpful to ask more questions or for suggestions they might have that can be easily applied to the project. Do your research. If the client is asking for something that can’t be done, know about it before hand so you don’t say yes and then have to backtrack later. If you’re not sure about something, let them know you’ll discuss it with your team or look into it and get back to them as soon as possible. Make a list of actionable items. Sometimes what a client wants just isn’t going to be a reality—you know that, but they might not. Give them a list of things you can change and explain to them as thoroughly as possible why some solutions just won’t work. Provide alternatives. For those things that really can’t (or shouldn’t) be changed based on the feedback provided, offer one or two alternatives. Don’t simply ask the client for things they’d like to see instead, but present them with options so that they don’t ask for something else you can’t follow through on. Respond promptly. There’s nothing that screams “unprofessional” like taking too long to reply to an email or missing a scheduled phone call or meeting. Do your best to provide responses quickly and assure them that they’re your priority. While receiving feedback isn’t always the best part of the job, it can be a helpful experience for both you and your client if you’re able to handle it professionally. One of the best things you can do is ask questions and constantly clarify things throughout the project so that your client can rest easy that you know what you’re doing. Being sure to use any tools or resources that helps clients be a part of the decision-making process can also help foster a sense of loyalty as well as move the project along faster. And should negative feedback still come your way, don’t panic. Keep asking questions, keep clarifying, and keep responding and your clients will thank you. Email marketing is a hugely valuable tool. In fact, according to the Direct Marketing Association, email marketing brings in around $40 for every $1 you spend, making it one of the highest ROIs for any time of marketing out there. It can be reasonably assumed that the whole point in capturing emails and having subscribers is to convert those emails into loyal customers who either buy your product or service or tell their friends to buy your product or service (or both). Even if you’re just running a blog or a content site, those emails are everything. So what happens if all of a sudden you’re not getting as many subscribers as you once did? Or worse yet, what happens when people that have already subscribed start to opt-out of receiving your emails? Here are a few of the most common reasons people are opting-out of your email lists, plus what you can do to stop that from happening. The biggest problem when it comes to opt-ins is not having opt-ins (or opt-outs) because all of your emails go to all of your subscribers. Not having any form of segmentation is a one-way ticket to unsubscribers, but if you’re running your email campaigns yourself, it can be tricky to manage all of those lists. That’s where third-party email marketing services can help. If you’re using WordPress, you can use plugins like MailPoet or Newsletter to create real email system that allow you to create newsletters, automated emails, post notifications and more directly from WordPress while allowing you to segment your lists (to some degree, anyway). If you really want to segment your lists, you can use a email service like MailChimp, Constant Contact, or AWeber (etc.) and integrate them with your CMS of choice using Zapier to create targeted emails to certain lists. Whichever method you choose isn’t really as important as having some plan in place for your emails once they’ve been submitted on your site. Once you’ve warmed up to the idea of segmenting your lists, then comes the hard part. You have to figure out exactly which emails belong in which list. The whole point of segmentation is to provide relevant content to the recipients, so if someone opted in to get your monthly newsletter but you send them promotional emails about events instead, your likelihood of unsubscribing is high. So how do you segment your lists for better results? Welcome emails should, for example, go to your new subscribers or users. But you can also send a version of a welcome email – either a “we miss you” or “are you still there?” email – to those who haven’t been actively opening your emails. Keeping track of those lists may be a little trickier, but if you’re using a third-party email marketing service like MailChimp (or similar), they often keep track of those lists for you. Demographics – Age, gender, company, position, etc. There are many different ways to segment a list, but the most important part of that segmentation is not just getting them into a list, but also getting them the right content for that list to keep them engaged. The average email user sends and receives around 105 emails per day, with 81% of those emails containing valid content (as in, not spam). This means that while sending out emails is a great way to capture your audience’s attention, it’s also ground zero for competition. One of the biggest factors when it comes to people unsubscribing from your lists is that they’re simply being overwhelmed with content that doesn’t relate to them. Thankfully, there are a few easy ways to fix that by targeting your content more dynamically. Newsletters often go out to anyone in your email list, but some do a good job of separating their newsletter lists from their general email lists, so only the people who want the newsletter actually get it. But you can take this a step further by actually creating targeted newsletters based on niche topics and segmenting your list further. One way to implement this strategy is to include separate opt-in messages in your welcome email, also known as an opt-in bribe. The truly important thing to remember is that the type of content you send out should reflect the list it’s being sent to. You wouldn’t send a welcome email to someone who’s been a subscriber for years. Likewise, you shouldn’t send a newsletter to someone who just wants to know about events (unless your newsletter is all about your events). Sometimes targeting certain content to different groups is a matter of trial and error, so it’s important to keep track of open-rates and watch your demographics (and other factors) closely to see what works and what doesn’t work. When it comes to improving your conversion rates, there’s really no better tool than email marketing. But what you do with your content and your segmented lists makes all the difference between effective and ineffective marketing. First, if you’re not segmenting your lists, get on it ASAP. Second, once your lists are segmented, make sure that every email is where it’s suppose to be and every one who has opted in to your lists wants to be there. Finally, make sure that the content you send to each list is relevant to the interests of those lists. If you’re not sure if it’s engaging enough, try targeting your email opt-in links in your welcome emails (or any email) to narrow down the field. Which CRM Works Best for Generating Leads? CRM software is a marketer’s best friend. Sure, email marketing is a great tool to generate new leads to bring in potential customers, but a CRM goes above and beyond, thanks in part to the R in its acronym – Relationships. CRMs are designed to help you build relationships with potential (and current) customers, and do so by connecting someone from your team to each customer. When someone receives an email from your company, they’re slowly building rapport. But not every piece of CRM software works the same way, and while they’re all designed to help you in your ultimate goal to understand and relate to your customers, each one will approach that goal differently. Some use certain methods for lead generation, which may be more effective for your company, while others may not actually help you all that much. So how do you know which CRM is right for you? Well, first you have to identify the lead generation methods that will be the most effective for your company and your consumer base. When you boil it down, lead generation is all about relationships, but relationships between customers and businesses don’t always happen naturally. Visitors need to be pointed to information (or team members) that can help turn them into customers. But what exactly is the best way to do that? There are a few different approaches that may work, depending on your industry and customer base. Relationship building through regular emails. Email marketing is no doubt a highly effective tool, and many customers love (or at least tolerate) receiving emails from companies on a daily or weekly basis, whether it be links to articles and blogs or specific promotions or discounts. A hard sell via a member from a sales team. This can happen through emails, phone calls, chats, or really any method of communication, but the purpose is to connect each customer with a real live member of the team to answer their questions and help them move from visitor to customer. A tailored marketing experience through varied channels. This includes tracking the visitor or customer’s interactions while they’re on your site, gathering personal information about their interests and disinterests, and implementing marketing strategies to target their “wish list.” For example, Google Ads reads your browsers cookies, so they know what you’ve been searching for on sites like Amazon and Facebook and can target ads specifically to your searches. So how do CRMs fit into this? Again, while each CRM will help you generate leads, each has a different function best designed for one or more of these approaches. Generally speaking, there are three types of CRMs: ones that work conversationally, ones that focus on leads and deals, and those that utilize contacts. A conversational CRM is centered on interactions between your customers and your business, and will group different interactions by categories so you can see exactly what your customers are doing, or where you need to follow up. It essentially helps you keep in contact with the customers that matter most to you. A leads and deals CRM – often the most common form – tracks potential customer leads and adds information as you work to convince those leads to become “deals.” These CRMS help you trace visitors from their first interactions until they become full-fledged customers. These CRMs are most utilized by sales teams. A contacts-based CRM is similar to a conversational CRM in that it helps you interact with customers, but this type focuses more on remembering important information about a customer – like birthdays, current company position, etc. – in order to help you send promotions that might relate to them. In some ways, it’s the best of the other types and can be used for both sales generation and building relationships. That is, as long as you have a process in place for targeted promotions. The key to using a CRM is to make sure it’s genuinely productive for your team, and not a burden to those using it. When you’re looking to select a CRM, it’s best to know the method most likely to help visitors turn into customers, and also which CRM type fits best with that method. Once you’ve matched the method with the type, you’ll then need to choose a specific CRM software, which will be dependent on factors like overall cost and ease of use for your team. Let’s take a look at a couple of the top CRMs in each category. Keep in mind that some of these may cross categories, and that’s okay! SalesforceIQ – Salesforce has a unique user interface, making it stand out a little from the crowd. Rather than including customized database fields, it focuses almost entirely on conversations. Your team adds your email accounts, selects the conversations you’d like to hear about, and then works on them collaboratively to help accomplish tasks. It will also pull conversations from all of your contacts, so you’ll have an overview of the whole company’s relationships. It’s priced at $69 per user per month. Streak – This CRM uses your email along with a few powerful Gmail features to help share conversations with your colleagues. It organizes your messages into a pipeline, adds notes to conversations, and is fully customizable. There’s also a notification tool to remind you to send emails to customers, too. It’s free for up to five users, with each additional user priced at $19 per user per month. HubSpot CRM – HubSpot CRM is known for being an automation tool, and you can either use it alongside other marketing tools or on its own. It allows you to add contact’s names and emails, and it will search out any relevant information to include based on those data fields. One of the biggest benefits is its flexibility, as it allows you to drag and drop fields and rearrange lists as needed. The best news? It’s free (though Premium features through HubSpot marketing suite may cost a little extra). Zoho CRM – This CRM is fairly robust. You can capture leads from Facebook pages, automate workflows into a sales funnel, and integrate it with other marketing tools. It also allows you to merge mail documents from your contacts, start a video conference, and more. It’s free for up to three users, with each additional user priced at $12 per user per month. Highrise – Similar to the project management app Basecamp, Highrise helps you gather as much information about your contacts as possible, allowing you to track deals in progress as well. The best part is that it’s relatively inexpensive, and dare we say free. You can include up to two users at no charge, and it only costs $4 for each additional user (after two) per month. Insightly – This software uses a similar interface to Gmail, and also features excellent integration with Google apps. One of its primary features is to find your contact’s social network profiles and show it alongside additional information gathered from your team. There are also interfaces for task management and advanced reporting. It’s free for up to three users, with each additional user coming in at $9 per user per month. Choosing a CRM is about helping you build the right type of relationships with your customers. If they’re the sort who love social media interaction and want to connect with real people on your team if they have questions, a conversational or lead generating CRM like SalesforceIQ or Zoho will do the trick. If they really just want to be able to contact you and have you contact them (with important birthday discounts, of course) then a contact CRM like Highrise will work well enough. Just be sure that the CRM fits your team’s working style, as some have different layouts and workflows. You may want to try out a few of the free ones before committing to get a better idea of which one works best for you. Businesses send emails to their users on a daily basis. It’s simply the way of life in the digital age. But most email marketers aren’t taking full advantage when it comes to using emails to generate leads. Marketing expert Chris Hexton of Vero says, “About 75% of businesses are missing out on the email marketing sweet spot.” He notes that while newsletters have an open rate around 20%, transactional emails – or trigger-based welcome emails – have an open rate of around 50% and are over 100% more effective when it comes to open rates, click-through rates, and conversions. So how do you take advantage of this sweet spot, exactly? You use autoresponders, of course. What Are They and What Can They Do? Mini-Course or Welcome Course – This is a series of emails that teach your subscribers about a certain aspect of your industry or more about your specific product or service. Paid Course – Similar to the mini-course, this is a more in-depth series that informs subscribers about a technical aspect of your industry, product or service. Content Promotion – This is a series of emails that introduce subscribers to important content you’ve already produced or are currently producing on your blog or media channels. Affiliate Promotions – This is a way to promote affiliate products and promotions, and can be helpful for cross-promoting and upselling your own content, product, or services as well. Demos and Social Proof – This is a series of emails that help your current subscribers see the benefits of your product or service on an ongoing basis. Newsletters – This is another source of automated content that can inform or educate your subscribers in addition to a blog or mini-course. What’s nice about autoresponders is that you can take your audience through a sequence of emails without doing any work, since you’ve already written the emails beforehand. As you can tell, there are plenty of creative uses for autoresponders, depending on your audience and needs. But which type (or types) of autoresponders will work best for your business? Well, that will depend on the benefits you want to get out of them. The main goal of an autoresponder is to move users deeper into your sales funnel. But before you create a single email, you have to understand your end goal. If you simply want to sell products or services, you’ll probably have a different approach to autoresponders than someone who wants to create brand loyalty or be seen as experts. Do you want to sell a product or a service? A welcome course, an affiliate course, or a series of demos and social proof may be your best option to help newcomers understand the benefits of using your business. Do you want to establish a long-term relationship? Consider creating a content series for blog posts or establishing a great mini-course that helps subscribers stay connected to your business. Do you want to be seen as an industry authority? Consider doing a paid course including valuable industry information to show off your expert status. If you want to do all three, you certainly can. There’s really no limit to the ways you can use autoresponders. The only thing stopping you is, you know, actually creating them. So how do you quickly and easily create your autoresponder series without spending too much time and energy? Well, here’s what you need to know. There are plenty of email marketing companies out there that will more than happily help you create your autoresponders, such as MailChimp, AWeber, Active Campaign, and more. But even if you have a marketing company doing the actual sending, you’ll still need to actually create the autoresponder content and design. Here are a few tips and tricks to creating effective autoresponders in no time. Having an outline of your course and/or a well thought-out editorial calendar is the key to success. Start by planning how many autoresponder emails you want in your series (three to six emails is a good guideline) and then create an outline of each email including subject lines and descriptions. AWeber provides several editorial calendar templates and outlines you can use to help you through the process, or if you really want most of the work done for you, check out Dusti Arab’s six-week autoresponder template. You’ll want to set a schedule for your autoresponders that is both effective (as in, there’s enough emails being sent to actually get a high click-through rate) without being overwhelming for your subscribers. Mini-courses and welcome courses are often sent on consecutive days over the course of a week, or sometimes once a week for a certain period of time (usually no more than six weeks). Other types of autoresponders can be tailored to the needs of your audience, but generally speaking, once or twice per week or once per month is probably enough for most people. Just be sure to track your open rates and unsubscribe numbers to ensure that your audience isn’t overloaded. If you already have blog content, half of your work is done for you. But if you’re starting from scratch – and you’re not a writer (or nobody in your business is a writer) – consider hiring a professional copywriter to produce materials for you. Nothing says, “We don’t know what we’re doing” like poorly written copy, so make sure the words you put out there reflect the high standards of your business. But if you do plan on doing it yourself, Nathalie Lussier over at Ambitionally has a helpful content walkthrough for creating an effective series. Your audience wants to know that the information they receive from you is coming from experts and not amateurs. The key to an effective autoresponder is to include some type of social proof, like a testimony or personal story in every email to keep your audience connected to your business on a personal level. Optinmonster has some suggestions for choosing the most effective social proof. While your content is the star of the show, you don’t want to have people ignore your fabulous content because the email itself is ugly and hard to read. Jason Amunwa over at Digital Telepathy has some suggestions for developing beautifully designed HTML emails, including how to deal with certain types of images, text, and calls to action. Litmus also has some great tips, including utilizing a mobile-friendly layout and more. Finally, you’ll want to make sure you’re not sending your autoresponders to everyone on your subscribers list. Your goal should be to break up your email lists to target audiences that would most benefit from your content. Why? Well, according to Lyris Annual Email Optimizer Report, 39% of marketers who segmented their email lists experienced higher open rates, 28% experienced lower unsubscribe rates, and 24% experienced better deliverability and greater revenue. Having segmented email lists also means you can send out as many types of autoresponders as you want, essentially ensuring that your whole audience is moving down your sales funnel with minimal effort on your part. And if you’re looking to save as much time and energy as possible, minimal effort is a beautiful thing. Look, you’ve spent years honing your craft, learning the tricks of the trade, and working hard to set yourself apart from the competition and make a name for yourself as a real expert in your field. That’s why it can be particularly frustrating to encounter a client that doesn’t see you that way – or, at the very least, thinks they can do what you can do without half the training or talent. Sure, they appreciate your portfolio and they know what you have to offer is probably better than what they can do. Yet whenever you send your designs for approval, they always have something to tweak. There are always one or two things they want done differently. That’s when you politely remind them that there’s a reason for everything you’ve done, and changing it would significantly impact the work as a whole. But what happens if they insist that you make changes, even though you know those changes will ruin your work? There’s a reason they hired you, and it’s because you know what you’re doing. The trick is convincing them that you see a perspective they might have missed. Make sure that every time you present your work, you’re fully prepared. Common issues that come up with design work in particular include logo sizes, choice of fonts (anything but Comic Sans, please), and content location. The best thing you can do is to have a solid explanation for why you chose the size/font/placement that you did, and include those reasons when you submit your work. Sending a file without context is simply begging for unwanted commentary. Don’t forget that designs get passed around too, and clients may not always include your explanation when they share your proposals with others. Be ready to rehash your reasoning as many times as possible, if necessary. Yes, it’s annoying, but it may save you from having a major headache later on in the process. Remember, when it comes to their business, your clients are just as protective of their creative vision as you are of yours. Your clients are not the enemy. They’re coming to you because you know what you’re doing, so you want to make sure you present yourself as an expert without belittling their approach. If changes they suggest aren’t absolutely vital to your design aesthetics or aren’t time consuming to make, you can let your clients win. If, however, you find yourself fighting the urge to vomit when you think about tweaking your design, stick to your guns. Sometimes “sticking to your guns” will mean telling the client that their ideas are terrible, which may or may not go over so well depending on the client. But there are a few ways you can frame the conversation so that you both walk away winners. #1. Reframe their concerns to solve a problem. Every client has an underlying reason they want a project done a certain way; maybe they have a specific audience or goal in mind. Assure them you really are acting in the best interests. Let them know that you were really listening during their proposal, you’ve done some research of your own, and according to that research, your approach may actually improve their desired results. If you really want to go the extra mile, have some studies on hand that back it up. #2. Make sure to include them in the process. You’re an expert in your field, but they’re also experts in their respective fields. If they have certain colors they want to use or content they want to include, do your best to incorporate what they want it in ways that work for you too. Again, if something they suggest is just too far out there and you simply can’t make it work with the current project, suggest another project or solution and help them understand why it won’t work with the current design. Of course, at the end of the day, what really matters is what the client wants. As much as you’re an expert and a highly valuable member of the team, they’re the ones writing the checks, so what they say, goes. But what happens if you just can’t come to a feasible solution that works for both you and the client? Well, you may either have to do a little conflict resolution, or you may have to straight up dump them as a client. The absolute best thing you can do is to remain as professional as possible. No matter what, keep your cool. Let’s say the worst has happened and you’ve done hours of work only to have the client reject everything and ask you to start over. Maybe you’re even willing to do so, but when you tell them how much a new design will cost, they freak out. The last thing you want to do is add fuel to the fire by blaming others or being rude. Listen to what they have to say, admit any faults from your end, offer any alternative solutions you see, use positive language, and if things get really heated, walk away. Not only will keeping calm potentially save your relationship with the client (should you choose to continue working with them) but you’ll also save your reputation in the industry over the long haul. Of course, having a high level of professionalism on your end doesn’t mean that the client will respond with the same attitude. Sometimes clients will come to you because you’re just another creative type who can get things done, and not because you specifically have skills they want. If you can’t do what they want, they might throw a fit or – worst case scenario, decide to withhold payment or otherwise make your working relationship a living nightmare. #1. Finish any work related to your written contract or verbal agreement. The last thing you want is to get sued by a vindictive client who paid you money to do a project you didn’t finish (at least finish from their perspective). Make sure that you’ve fulfilled any obligations that you signed up for, or that you have an escape clause in the contract that you signed before you start working with them (an ounce of prevention…). #2. Set a firm “leave by” date and stick to it. Let your clients know that you’ll be moving on and that they can expect to receive any remaining files from you by a certain date. #3. Try not to burn a bridge (if at all possible). If you can, include a few positive statements in your “Dear John” email about why you liked working with them and let them know that you’re available for other work in the future (if you’re open to that, obviously). Remember that referrals are a great source of business, so if you can salvage the relationship professionally, do so. Dealing with clients can be tricky, especially when they feel like they can do your job as well as you can. But remember that you’re the expert and you know what you’re doing, and they’re coming to you for your design prowess. If the time comes where you need to convince a client that your way is best, remember to backup any suggestions with resources, use positive language, offer alternative solutions, and try to incorporate their ideas as much as possible (without sacrificing your time and talent, of course). If things just aren’t working out and you simply need to move on, be professional, be quick, and don’t burn a bridge unless absolutely necessary.